OUR 2019 SEASON IS OPEN! There are no Chinook retention changes. The trip limit is 8 salmon total possession; no more than 4 of which can be King (Chinook). With the strong U.S. dollar hovering around $1.33 Canadian, our remote location in Haida Gwaii (Queen Charlotte Islands), and an unbeatable introductory offer* to new guests, this is the best time to book! 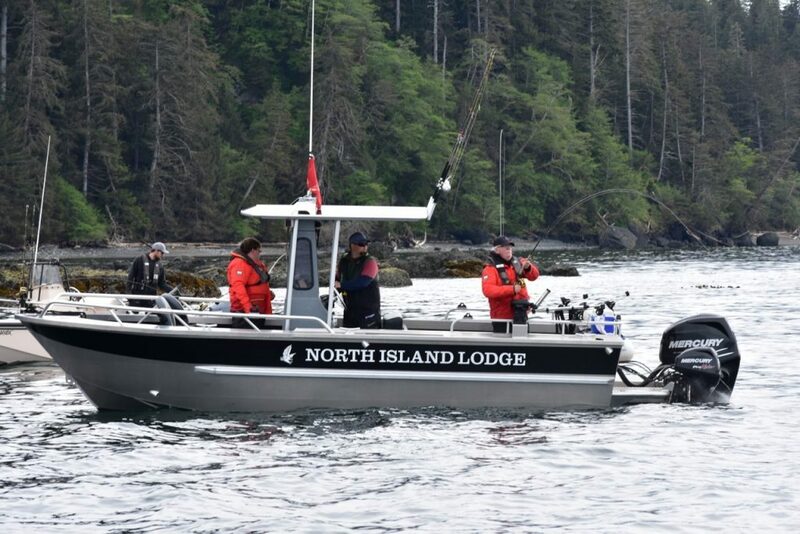 Enjoy huge savings on a world-class Canadian fishing adventure in Haida Gwaii that will take you to the best location to catch trophy king salmon, halibut, and other bottom fish. 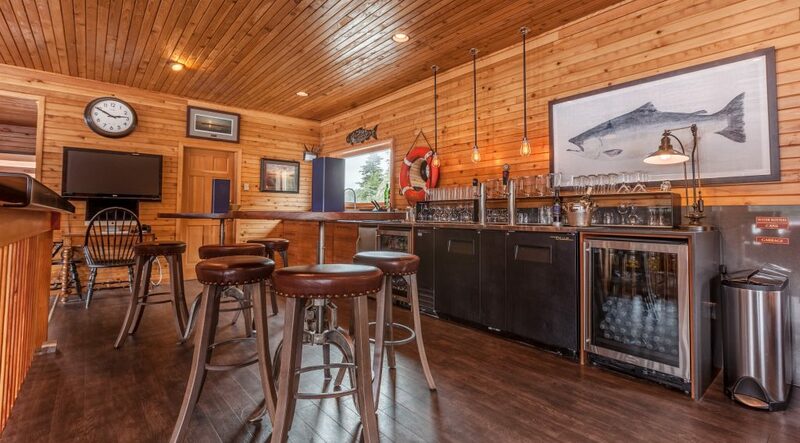 Located just south of Alaska in majestic Haida Gwaii (Queen Charlotte Islands), The West Coast Fishing Club’s North Island Lodge is known for its relaxed, welcoming atmosphere and quick access to sheltered fishing grounds on the world-famous Langara Island. 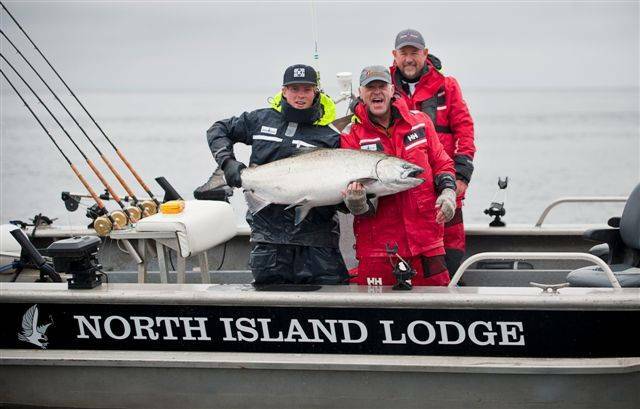 Take advantage of the strength of the U.S. dollar and our limited-time introductory pricing* for new guests on a 2019 fishing trip to North Island Lodge. Book now while spots last! Call us at 1-888-432-6666 TODAY, click here to fill out an inquiry online or read on for more information. *Introductory pricing available on select dates only. 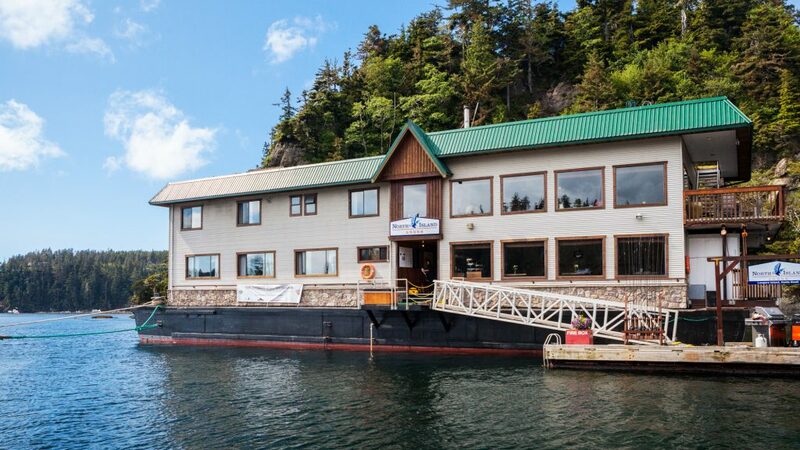 North Island Lodge is Langara Island’s floating retreat located just off the northern tip of Canada’s rugged Haida Gwaii islands (formerly the Queen Charlotte Islands) just south of Alaska. The island location offers plenty of options for protected fishing avoiding most winds and with the lodge moored directly over the fishing grounds, you can easily have lines in the water less than 5 minutes from leaving the dock! 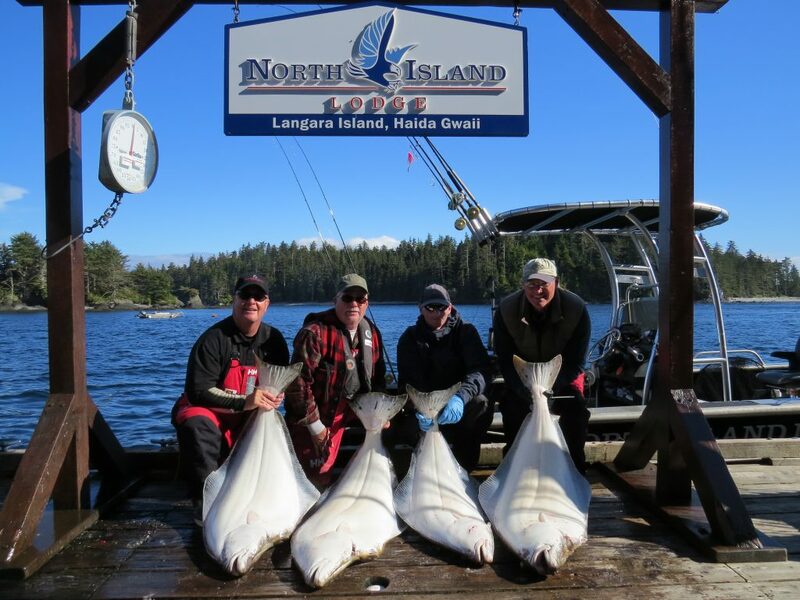 Situated on the edge of the continental shelf, this area of Langara Island is a feeding ground for millions of salmon (including king/chinook and silver/coho salmon) and halibut that gather to feast on schools of herring and other bait fish. Catch trophy salmon in shallow water fishing grounds, plus halibut and other bottom fish without long runs to the fishing grounds. Most popular spots within 5 to 15 minutes of the lodge! 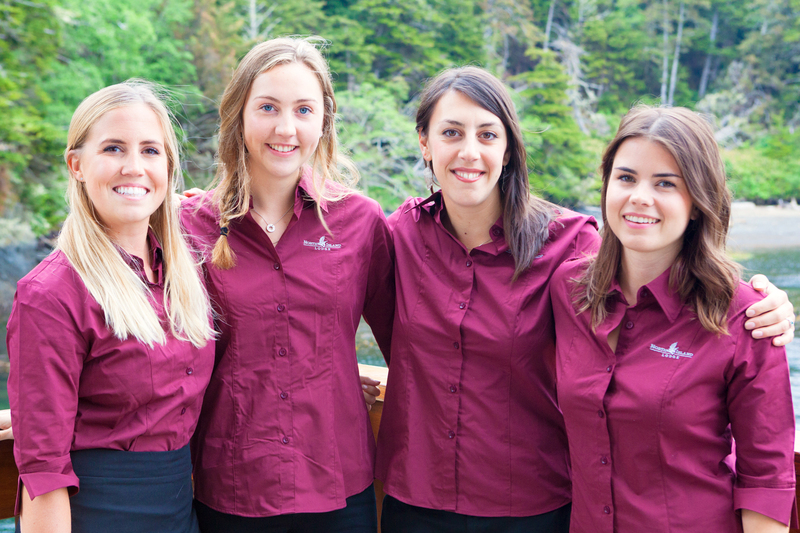 You’ll enjoy sweeping 180º views of Parry Pass and Lucy Island every day from the lodge. While you’re fishing, soak in the breathtaking views of the ancient rain forests and remote beaches. 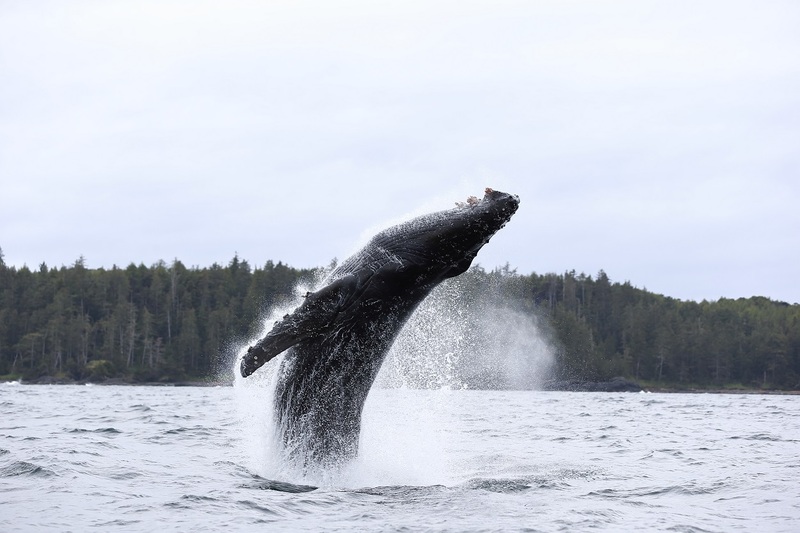 Haida Gwaii’s rich marine wildlife offers opportunities to see humpback whales, killer whales, porpoises, bald eagles, and much more! Relax and make yourself comfortable. With an intimate space accommodating up to 24 guests, our lodge lounge and bar area is the perfect place to unwind and share stories with other guests after a day’s adventure or catch up on the latest news and sports with our large satellite TV. Don’t wait! Contact us today to learn more about our special introductory pricing offer. CALL US AT 1-888-432-6666 or fill out our online inquiry form below. A Client Service Team Member will respond within 24 hours. Tight Lines!